Thank yor for taking time to read my story. It was early January 2014 when I started to feel bloated and have some pain in my abdomen.However,being busy mum of two,including autistic boy,you are not thinking that something serious is brewing.I was convinced that,this is a consequence of Christmas overindulgent. Over February my tummy become more and more swollen and I decided to visit my GP.They examined me and run some blood test.Two weeks later I recived a phone call from the doctors,asking me to come back and talk to them urgently.I have been told that this might be ovarian cancer,but more tests and scans need to be run to confirm diagnosis.I had been referred to ST George’s Hospital in Tooting in order to that. I was 39 at the time.I was shocked.I was asking myself How?Why?My daughter was born just two years earlier.There were no signs that anything was wrong with my ovaries.I was always healthy as a horse! By March my abdomen was so swollen with ascites fluid,that,people,who did not know the situation started congratulated me on having a third baby. After undergoing CT,MRI, ultra sand scans and biopsies l had been diagnosed with stage 4 ovarian cancer which spread to peritoneum and lymp nodes in my left armpit.My world collapsed.I started to research diagnosis and the odds me surviving 5 years were just 5%.I was terrified. I started chemo to shrink the tumours and underwent optimal debulking surgery which removed any visible signs of cancer.That was a great news!I had to have another 3 cycle of chemo and some more months of biological therapy called Avastin to make sure it is gone forever. I was over the moon and looked forward the future.I will beat the odds and everything is going to be fine. Unfortunately mid 2015 My tumours markers started to rise again.By the end of November I had been referred to Genetic Clinic for some tests.At Christmas time I started to feel bloated again and my oncologist confirmed that the cancer is coming back.In February 2016 I had bee told that I have BRAC1 positive mutation.Women with the faulty BRCA1 gene have a 60 to 90% lifetime risk of breast cancer and 40 to 60% of ovarian cancer. In March 2016 I had to restart chemo .At that time ,I had been told that this is recurrent ovarian cancer and disease will inevitably progress again.Another 6 cycles of chemo kept cancer under control for 9 months. In 2017 my cancer came back in my pleural cavity and my right lung collapsed.I knew I need to keep fighting for my children.I started new chemo in April.It lasted only 4 cycles as it did not control the cancer.I ended up in square one. I was lucky enough to be offered a biological therapy called Olaparib to maintain the disease.The response was great and I started feel better and my tumour makers went down.That was very promising new treatment and again I though “Yes”I am sure this time my remission will last longer. 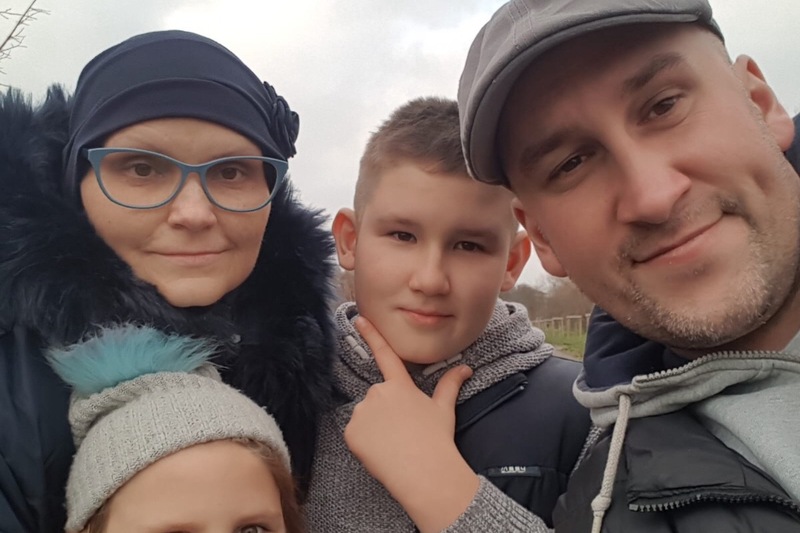 In June 2018 my cancer came back with the vengeance.I convinced my oncology team to delay the next treatment,the disease was sort of stable.I was desperate to be able to go on holiday with my kids.When I came back early September I was admitted to hospital with two blockages in my small intestines which resulted with surgery and formation of stoma.I started my new chemo regime.By the end of October I had to come back to the hospital as I developed neuropenic sepsis due to my anti cancer treatment.Despite all set back I kept fighting and continued with the chemo. Another blow came mid December when I started to have a severe pain in the back and my tummy.By Christmas my abdomen was swollen again.I knew these signs too well. And here we are 2019,early January my oncologist confirm that treatment stop working.Since then, I had some tests and permanent drain had been installed on my tummy to easy my symptoms. As I am writing my story from hospital bed,waiting to start yet another chemo soon,my doctors running out of options,to prolong my life futher. That is why my dear friend Agata started this fundraising campaign to cover expenses of alternative therapy . Please help me to get better,so I can keep fighting to see my children grow,they still so young(my son is almost 11 and my daughter is 7). Even If you cannot donate please share my story,I will be forever great full. Another quick update on my sytuation.Unfortunately,I am back in hospital with the small intestine failure.I had my second cycle of chemo.It is not working as well as hoped for.However,there were some signs of disease shrinking on the last scan.That is good news. I had been fed via IV now.I need to wait for another two weeks for the company to set up all equipment at my home.Then I will be able to get out of the hospital. I have been contacted by one clinic in Germany.They are able to offer me a treatment.Although first I need to do chemosensivity plus test,which cost €2000.I am arranging it now.This will give me the answer,what potential treatments conventional or natural one will be beneficial for me. 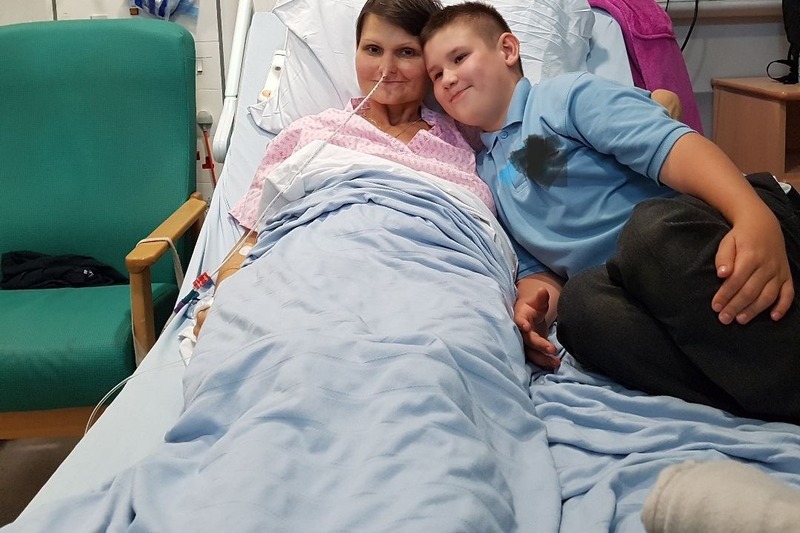 Once again I would like to thank all of you ,who shared my story,who donated money.We are £7000 pounds,which is fantastic!Please keep sharing, spreading the word ,keep donating every penny counts. 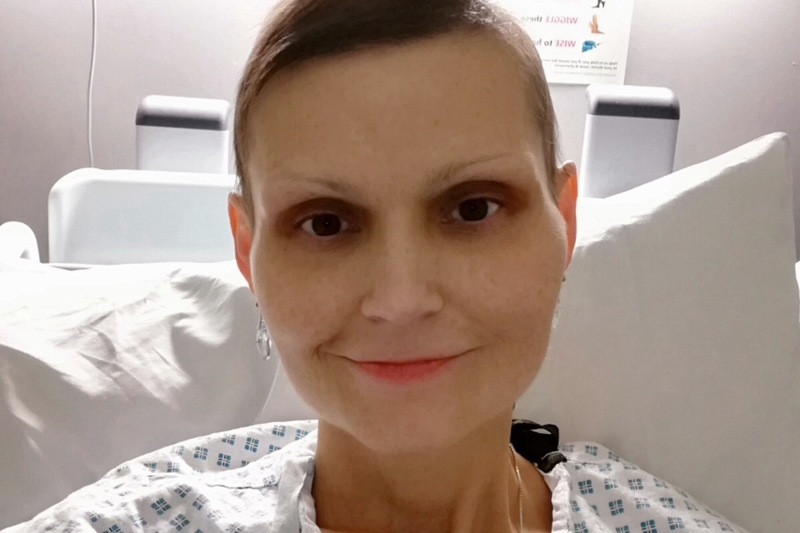 Just a quick update on my situation.I’am finally out of the hospital after my first chemo cycle.I had it on Valentine’s Day,what a treat.That was the hardest one so far ,as I felt very sick ,but I’m not going to bore you with the details. It was so good to feel the rays of sunshine on my face .I feel much better now. On the 5th of March I’m going to find out from my doctors whether the chemo had worked.Fingers crossedit had.It would give me some “breathing space”which I really need right now and some time for my body to recover before the next round. Also,on this occasion I would like to say a big thank you to dear friends of mine and friend of friends and people who I don’t know ,but who found so much kindness in their heart to donate ,share my story and support my fight against cancer in all possible way.You are amazing ,you are always in my thoughts and my prayers forever!I cannot find words to thank you enough,for all you have done. Dear friends,family and all wonderful people who kindly donated and share Aga story .This is update on the sytuation and very Big Thank you once more. Extra picture of Aga with family.